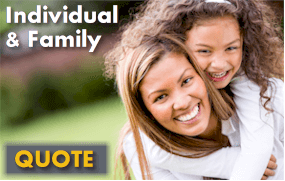 What is the Annual Renewal for California group health insurance? 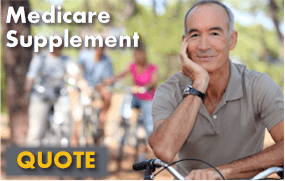 The annual renewal is an important part of your Small Group health insurance plan in California. Options and how it is handled can vary from carrier to carrier but there some important considerations to look at when this time of the year rolls around. 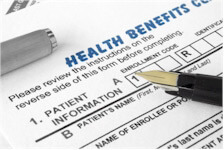 Let's find out how the annual renewal is important to your company and its health benefits. For most California health carriers, the annual renewal or "anniversary month" is the month every 12 months from your original effective date. For example, if your company's effective date was November 1st, your renewal or anniversary month is usually every November for as long as you have the health plan in effect. Most deductibles, out of pocket max's and other resets occur Jan 1st regardless of your anniversary date. This is why many companies shop for California health insurance in the 4th quarter with the intent of getting a Jan 1st effective date for the new plan. This way, you avoid having essentially two deductibles for employees who have had significant medical claims during the year. Some important things occurs each year at anniversary for group health plans. First, this is the time when most changes are allowed. It can mean requested changes to the actual health plan within the same carrier. If a company wants to change to another health insurance carrier altogether, they can do this at any time. The only concern is the double deductible issue mentioned above. 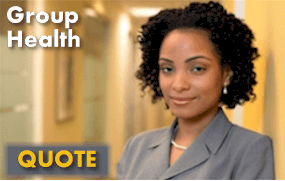 Group health plans are month to month so there is no contract outside of that. Some group administrators think that they can only cancel a group plan at anniversary time but this is not true. Changes to waiting periods for new employees, periods for covered absences of leaves (both personal and medical), coverage for part-time employees, and other criteria that the employer establishes at the time of enrollment can be re-evaluated and changed at anniversary for most carriers. Due to Health Reform, there is a new requirement to send out a Standardized Benefit Summary to each employee within a certain time frame to avoid penalties. Make sure as the employer to get these out to employees right away. With California health insurance plans, if an employee declines coverage for dependents and the dependents are not losing another a group health plans, anniversary date is usually when the dependents can be added to the group health plan. It is important that employees declining dependent coverage understand that they may need to wait till annual renewal to bring them back on unless they dependents are on another qualified group health plan and they lose it. The section of the application where employees decline coverage usually stipulates this and requires a signature from the employee. Newborns can typically come on right away as long as the carrier is notified within 30 days of birth. Each carrier is different so double-check with your carrier. If the carrier is NOT notified in their needed time frame, the newborn may need to wait till anniversary depending on how strict the carrier is. California health insurance carriers have had Statewide rate increases on average, about once per year. Some carriers will apply this increase immediately to all or a block of companies while others will apply the rate increase at annual renewal following the increase date. RAFF or Risk Adjustment Factor is typically re-evaluated at anniversary date based on the claims of the preceding 12 months. The RAFF is a + or - 10% rate change from the standard rates that the carrier is allowed to apply to the company based on its individual employee health risks. Some carriers do not require any action on behalf of a company during annual renewal unless changes are requested. If the company is fine with any rate or RAFF changes, they can continue to pay their premium and leave the plan as is. Some carriers however require that the company re-qualify based on the criteria used at the time of initial enrollment. They may require a copy of the most recent DE6 and applications or declinations for employees not enrolled. They are essentially asking to the company to re-qualify for guaranteed issued health coverage based on eligibility. 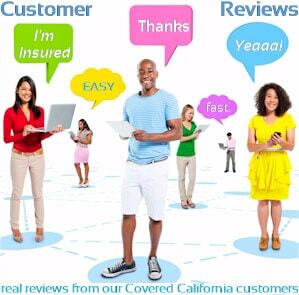 You can run your California Business Health Quote here to view rates and plans side by side from the major carriers...Free. � 2015 Copyright All Rights Reserved by Goodacre Insurance Services.